The Art Factory is happy to open its doors for all fundraising efforts. We often team up with local and national organizations to create special events that put the fun back in fundraising. Classes may include: creative canvas, wooden sign design, painted glass class, or any family event. • $10 from each ticket sold, will be donated to your organization for a 2 hour class. • $5 from each ticket sold, will be donated to your organization for a 1 hour class. We can seat up to 40 guests per class session. You may bring your own food & non-alcoholic drinks. Your event will be listed on our calendar as public and will be advertised on our Facebook Page and in our newsletter to help fill up your event. (Unless you want to keep it private). We are happy to support local schools and sports teams of all kinds, along with any non profit origination. Contact us to setup your fundraising Event. The Art Factory has a lot to offer your PTA, your students and school! Spirit Nights: Invite faculty, students and parents to an event that benefits your school! You select the date, time, painting. We’ll walk guest step by step through the featured painting. A portion of the ticket sales will go back to your school. Body Art Supplies: Set your volunteers up for success! We are a worldwide distributor of some of the best face paint and body art supplies. Everything is safe for the skin. 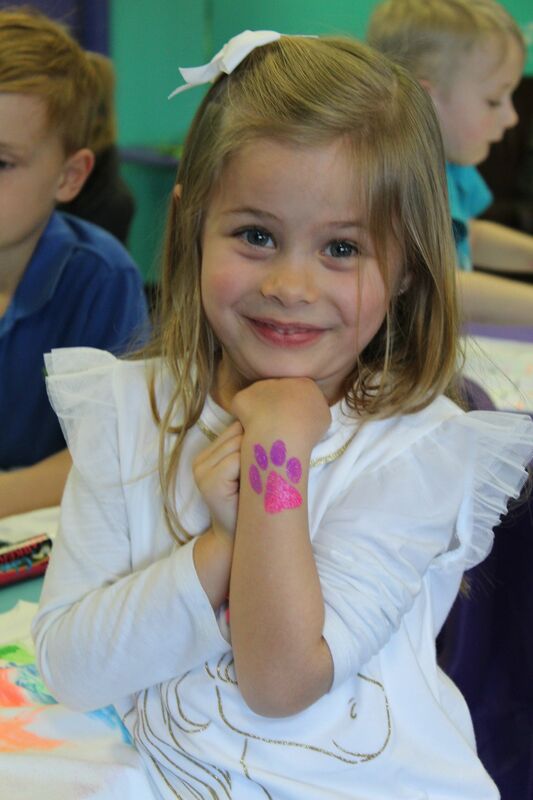 We have tools and resources to help you face paint or glitter tattoo at your next event. Check out our supplies HERE.